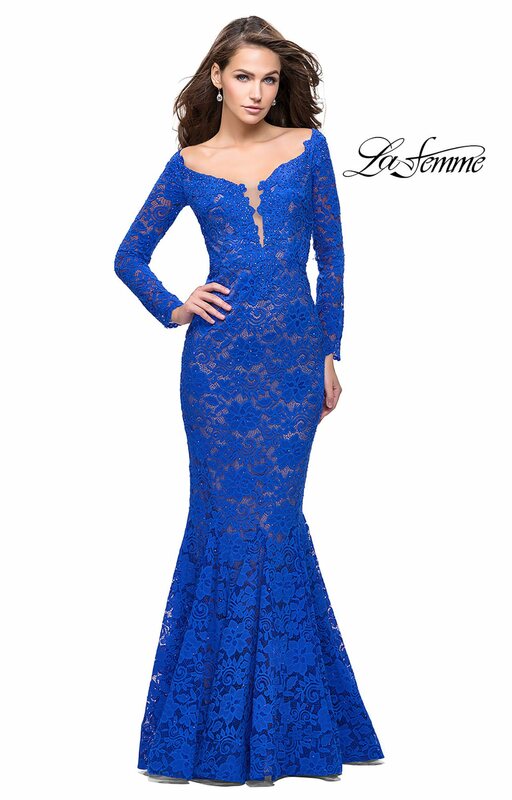 Look elegant and sophisticated in La Femme 25607! 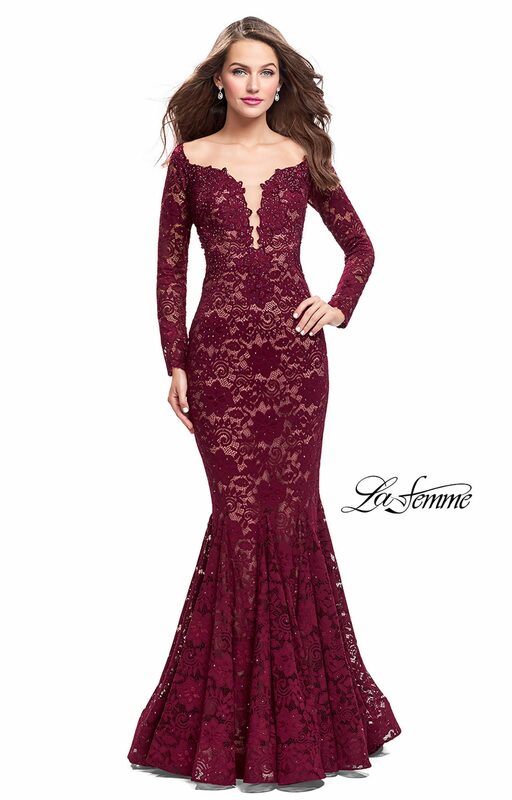 This delicate lace gown showcases a deep sweetheart neckline with an off the shoulder long sleeve. 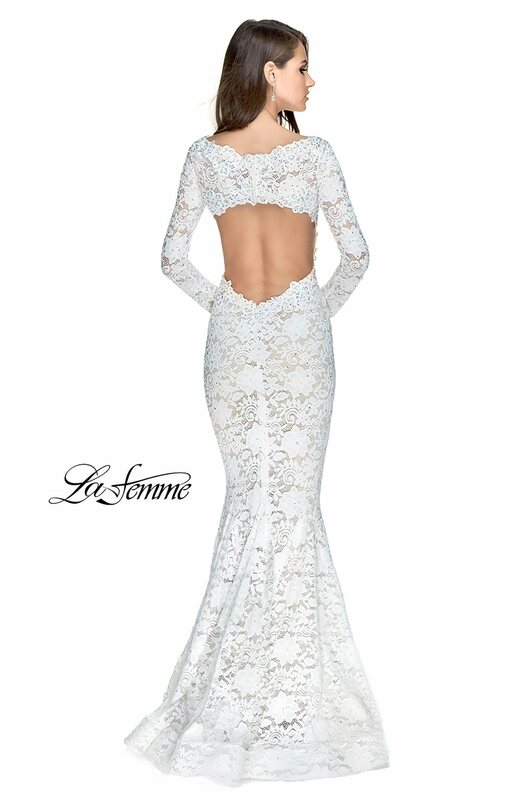 Fitted through the thighs and then draping beautifully to the floor, this open back dress is sure to turn heads!